Gopi Raja A student at KL University invents a Drone that revolutionizes agricultural production. Founder and CEO OF FOPPLE DRONE TECH PVT.LTD. Mr. Ambula Gopi Raja a talented engineering student at KL University developed a successful prototype for agricultural spraying. Mr. Raja based his invention on the development of remote-controlled aircraft with multi-rotor technology. 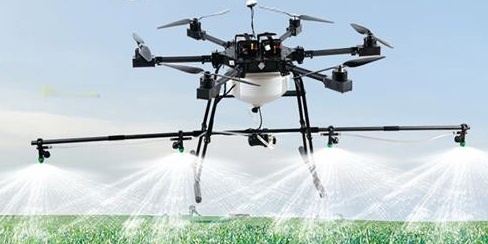 It is intelligent equipment designed to spray pesticides without the presence of farmers during the process and operates by scheduling tasks and trajectory. The entire process is programmed and recorded on a laptop computer. The revolutionary invention is already part of the technology that strengthens "precision agriculture". 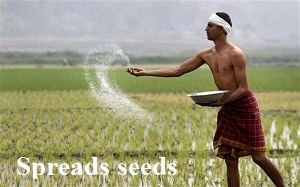 This concept describes a model of agriculture that takes care of crops, according to their specific characteristics. Mr. Raja developed a new instrument that substantially improves agricultural monitoring processes. The Fopple Drone adds to the pre-existing technological tools applied in precision agriculture, such as the global positioning system or climate sensors. Agriculture in India now has a powerful and precise agricultural technology that derives in increased food production at lower costs. Mr. Ambula Gopi Raja began his project in the classrooms and developed it progressively. The initial design steps took place in the first year of Mr. Raja's career. From the beginning of his studies, he had the support of the professorship of the University KL (KLU). They accompanied him in the development of the drone project designed for the execution of agricultural tasks. KL University is located in Vaddeswaram, Guntur District, India. At the end of the second year of Mr. Raja's career, the Fopple Drone was presented. The transition of the agricultural drone project from the academic perspective to its transformation as a business project occurred because of Mr. Raja's assistance to the entrepreneurship program developed at KLU. The potential of the initiative prompted KLU to finance the project with 1 lakh rupees. 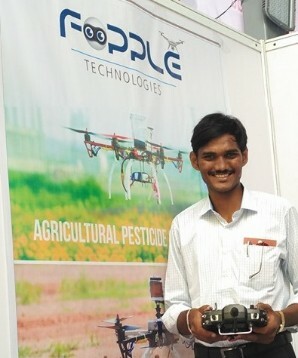 The drone designed by Mr. Raja was initially oriented towards crop spraying. 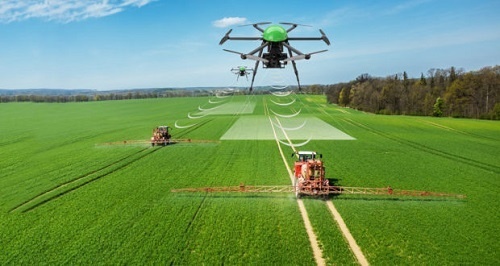 Subsequently, the scope of the invention was expanded by identifying applications associated with drone technology in conjunction with the precision farming methodology. The invention satisfies the diverse needs of agricultural workers: Fumigate, spreads seeds, collects data from plantations, protects farmers' health and contributes to the planning of sowing cycles, harvesting, and crop rotation. This is a significant contribution to the global agricultural production process. As a result of the drone's effectiveness as an innovative tool for the development of precision agriculture, Mr. Raja obtained approval from the Acharya NG Ranga Agricultural University in Hyderabad. This approval confers specialized advice in the management of agricultural enterprises and application of technologies that improve the production process of the novel drone enterprise. In addition, the government announced support for the Fopple Drone initiative and the purpose of sponsoring its implementation. Mr. Ambula Gopi Raja founded Fopple Drone Technologies, following the principle of "solving problems and commercializing the solution". The initial capital for the venture was provided by Mr. Tarun Kakani Garu through Glocal Technologies. The prototype marketed operates by radio frequency, has tanks with a capacity of up to 5 liters and a battery of 1000 MaH. The intelligent design and triangulation drone-satellite-laptop allow the drone to follow the programming and execute the tasks it is instructed to do autonomously. The user will only have to program the drone from his computer or smartphone. When it is in the air, the equipment will work without the need for remote controls. The estimated price of the Flopple Drone is between 2.5 and 3 lakh rupees. 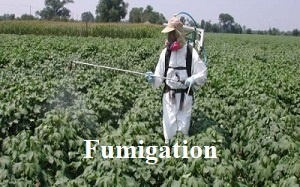 The performance of the equipment in the fumigation process is 2 acres in 30 minutes operating autonomously. For the mapping tasks, the drone works in an interface with the computer recording the number of fruits, their level of ripeness and the specific location of the plants that contain fruits ready to be harvested. The drone is also efficient in the monitoring of farms dedicated to floriculture. Fopple Drone Technologies designs, manufacture, and markets drones. Farmers in the efficient use and maintenance of unmanned aerial vehicles. Mr. Raja emphasizes the need to establish regular relations between the enterprise and the farmers, as a mechanism for the development of innovations that respond to the needs of agricultural production. The Fopple Dron project is one of the successful results of the Innovation/Incubation/Enterprise cells of the KL University.This invention was presented in 2015 and received the full support of KLU Vice President Mr. K Raja Hareen. The goal of the KLU is that 1% of the students become entrepreneurs annually. To this end, the Innovation/Incubation/Entrepreneurship cells promote the formation of research and development teams for technological innovations. The KLU has a budget of 50 MM rupees for the financing of innovative projects and offers space for the establishment of new companies. The achievement of Mr. Ambula Gopi Raja demonstrates that investment in education and support for entrepreneurship are the path towards building a prodigious future for India. For More Updates Click Here?